Blessed with fertile soil and a favorable climate, northern Nigeria is considered the “breadbasket” of the country. However, low mechanization and sparse infrastructure isolate this region from the bustling economy of Lagos, which is just 1,000 km to the south. Insecurity in the northeast heightens the divide where, since 2009, over 20,000 lives have been lost and over 2 million people displaced. However, where many see risk, some see opportunity. A social enterprise, Babban Gona, is modernizing rural farming for maize (corn) and rice growers in northern Nigeria. They believe that smallholder farmers hold the key to a productive and sustainable future for Nigerian agriculture. Their business model aims to transform agriculture into a more lucrative industry and attract young men and women currently struggling to build stable livelihoods. I traveled to the northern states of Kaduna and Kano in September 2018 to learn how Babban Gona is increasing opportunities for smallholder farmers with the help of Kiva loans. "I was a bit worried about paying back the loan. Babban Gona officers mapped my field and told me that I would have to produce 10 bags of maize, but usually I only produce 7. [But,] I got 26 bags [of maize] that year." While Sale’s story is incredible, he is not an outlier, Babban Gona consistently doubles their members’ maize yields compared to the average Nigerian farmer. Recruited directly from the local communities, a small army of 200 field officers zoom around on motorcycles, navigating rutted roads, visiting fields and checking on crops. Farmers also apply the agronomy techniques to other crops, like tomatoes and peanuts, and non-Babban Gona farmers are also starting to adopt these improved practices. I was surprised to see how manual agriculture is in northern Nigeria – corn kernels plucked by hand from the cob is standard processing. It takes about 3 minutes to manually thresh or remove the kernels, and one 100 kg bag of maize contains about 600 maize cobs, so you’re looking at 30 person-hours of kernel picking per bag of maize. That’s an extra week of work. Babban Gona has purchased machine threshers that process a bag of maize in under an hour. 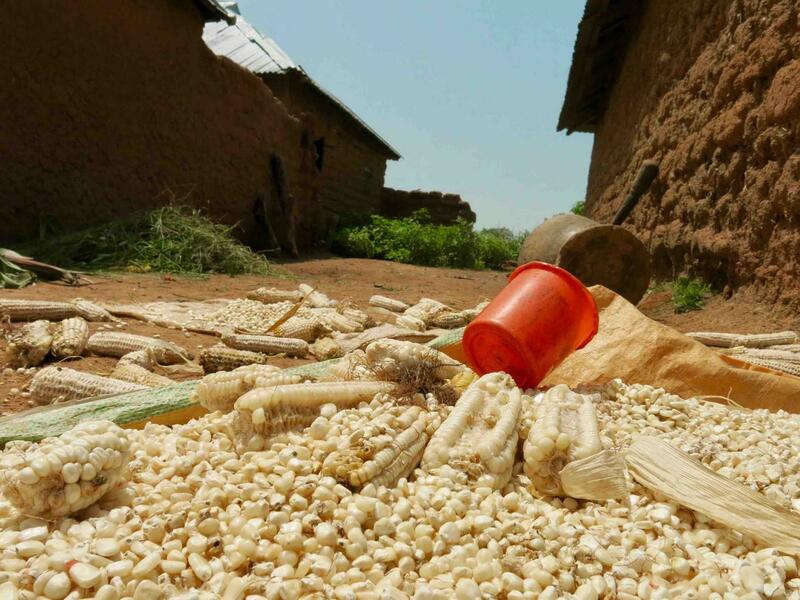 Since manual threshing is usually done by the farmer’s family, saving a week of work per bag of maize means freeing up women and children's time. 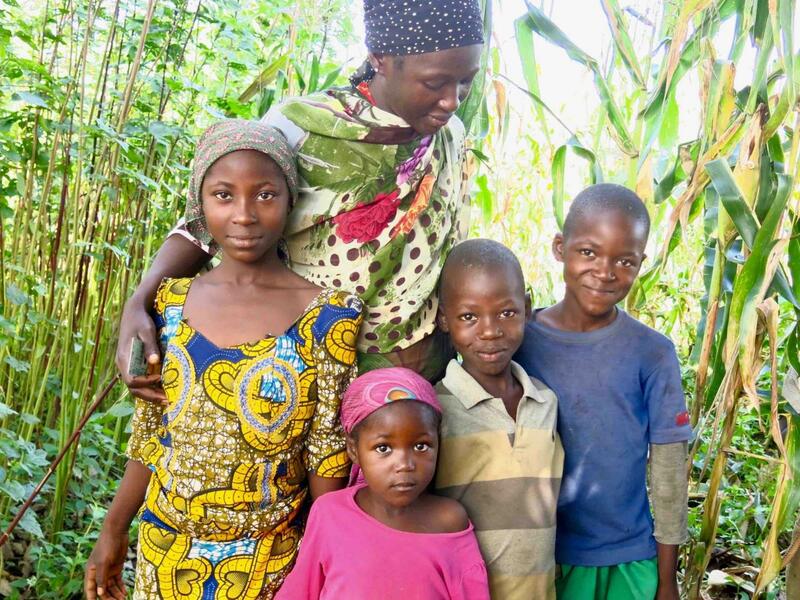 Financially excluded farmers without access to credit, urgently need money by the time harvest arrives in December. During the harvest, maize prices drop with the market glut, where the supply of the good far exceeds the demand. In contrast, Babban Gona provides more credit to their farmers at harvest, collateralizing the grain and stockpiling it in hermetic storage units. Over the course of the following year, Babban Gona watches the price of grain and sells it at both a delayed pricing and at a quality premium. This “bonus” is credited to the farmers, minus a small commission, ultimately fulfilling Babban Gona’s social mission to raise farmers out of poverty. It’s a win-win for off-takers like Nestle, who are happy for the high quality and predictable supply, and for the 18,000 farmer members who make more money, more predictably, while spending less time at the market selling grain. Conclusion: affordable credit is helping to revolutionize northern Nigerian smallholder livelihoods. Babban Gona aims to serve 1 million smallholder farmers by 2025, using agriculture as a platform to create jobs, combat insecurity and contribute to a highly productive family-oriented agricultural sector. However, despite having a 0% delinquency rate on Kiva, access to affordable credit is Babban Gona’s growth hurdle. In 2017, Babban Gona had to turn away 300,000 farmers due to financing shortfalls. Look out for Babban Gona’s seasonal loans, posted during the planting season from June to August, and during harvest from October – December each year. 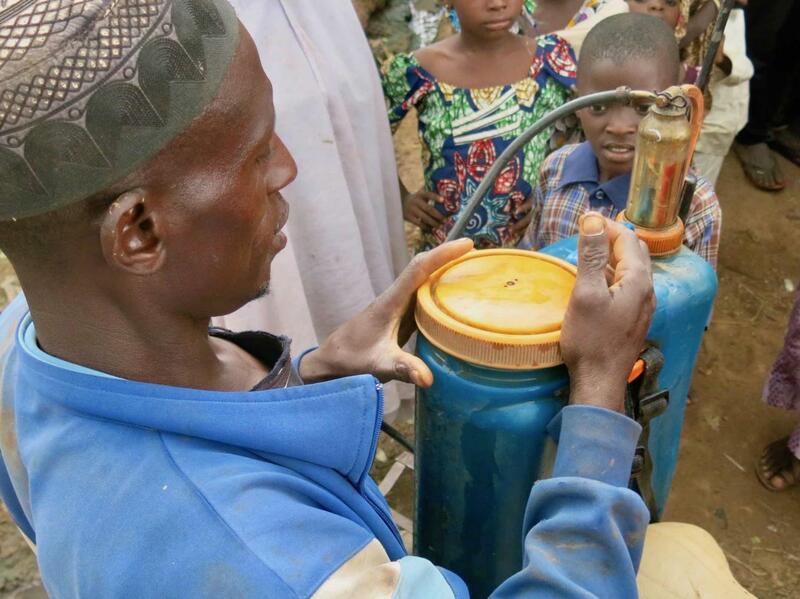 Lend to Babban Gona farmers on Kiva and help to reach more farmers and their families in northern Nigeria! Lia Nicholson is optimistic that 7.5 billion people can comfortably live on this planet while keeping earth’s temperature stable and biological diversity intact. Born in the USA, Lia grew up in the island nation of Antigua and Barbuda where she has been a consultant to the Government for the past 4 years, since graduating from Yale University with a Master’s in Environmental Management. Awarded the Gruber Fellowship in Global Justice and Women’s Rights (2014) and Commonwealth Queen's Young Leader (2017), Lia is also a TEDxAntigua speaker on climate innovators – our environment’s game changers. She has raised over US$30 million for climate and environment projects in the Eastern Caribbean, including seed investments for a climate fund. 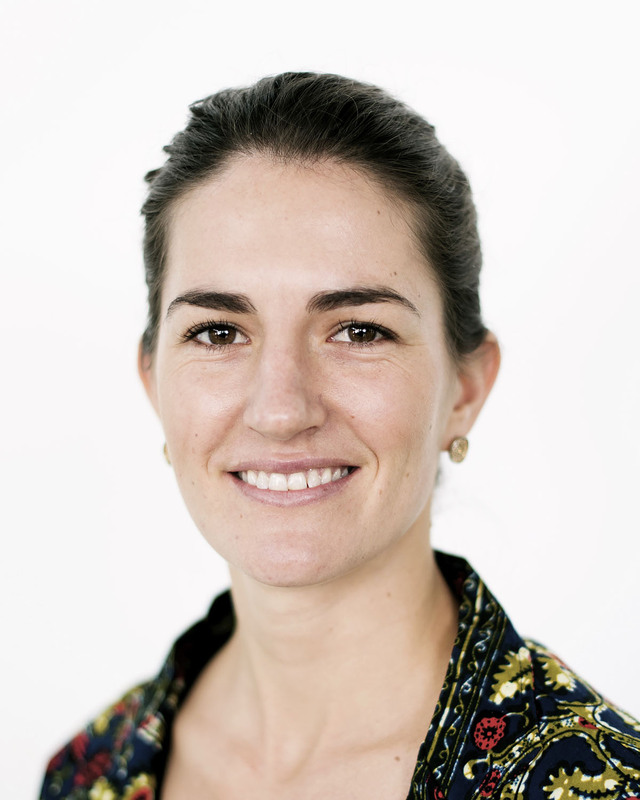 When not in the office, Lia can be found free diving, speaking Spanish, and mentoring.